The Bachelor´s degree study programme in Applied Informatics provides the grounding necessary for careers in computer systems (including both hardware and software aspects) and in sophisticated applications of computers. It also provides a substantial background for the follow-on Master´s degree programme. 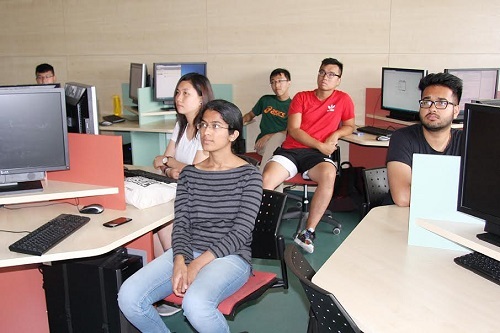 The students learn mathematical foundations, get a background in mathematical statistics, and learn deeper object modelling, programming techniques, design and implementation of information systems, computer systems and web technologies. Besides these “technical” disciplines, students learn basic knowledge of management and professional English. Practical skills are stressed in all areas. The graduate from this programme will work in positions such as programmer, designer and administrator of information systems and computer networks, or web designer. The profile of applied informatics graduate is well suited for middle-level managerial positions in companies and enterprises, but the graduates have also enough knowledge to start their own business. The deadline for submitting application forms: 31st March.